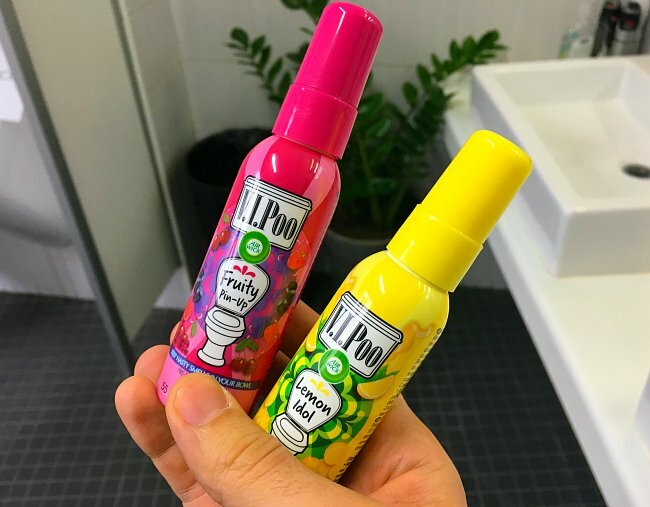 V.I.Poo is the greatest: An open letter to the pre-poo toilet spray. Our first encounter was seven weeks, six days, five hours, three minutes and 57 seconds ago. Not that I’m counting. You had me at hello. Literally. I got an email from a colleague at work with ‘Hello’, and a fateful note asking if I’d like to sample a new product by Air Wick called V.I.Poo. V.I.Who? Yes, like any normal adult with a somewhat functioning sense of humour, I laughed at the word “poo”. But you weren’t joking. Yes, you were dead serious about your goal in life: to be the greatest pre-poo toilet spray that ever existed. Your mysterious ways lured me in. I wondered, how exactly do you trap those embarrassing odours in the bowl? How come the air afterwards smells like no-one has even been in the toilet? Our relationship escalated fast. I’m fully aware of how silly this sounds. You taught me that a generous spray before you take a seat can make the world of difference. It was an Oprah-esque “Aha!” moment. Before I knew it, I was sharing you with the entire office (here was our experiment). 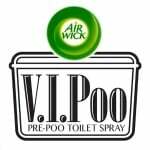 I’d gifted my mum and sister with V.I.Poos for their birthdays. My partner felt affectionate towards you too as you sat up there by the flush, patiently guarding our throne like a Beefeater at Buckingham Palace. Protectors of the throne. Image: V.I.Poo/Getty. Confession: I was worried the honeymoon period would come to an end. Everyone started to catch on about you. People were talking about the ads on TV. The Mamamia office tried them out. The hosts of the Mamamia Out Loud podcast quickly became obsessed. They said: "This is life-changing. I don&apos;t know how they do this magic stuff. 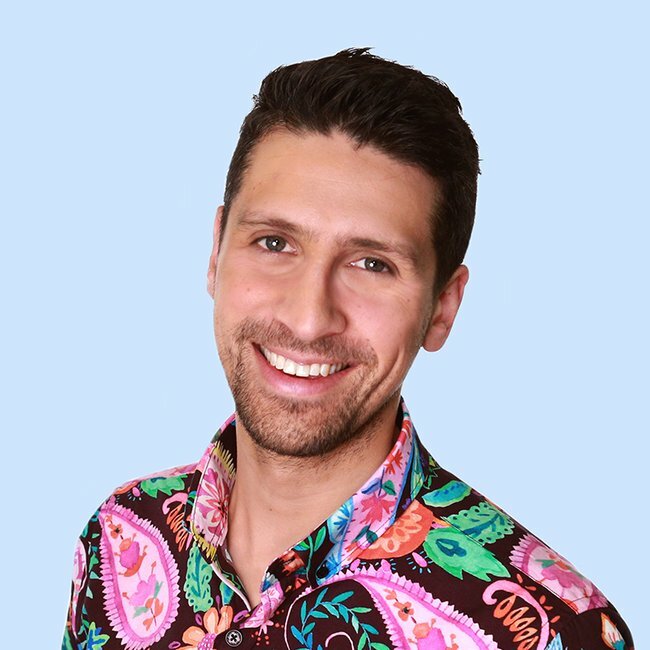 We have had it in the Mamamia office and we&apos;ve got four toilets and we&apos;ve got 80 people…and ever since we started putting those V.I.Poos in there, I have not walked into the bathroom once and smelt a number two. For any woman who shares a bathroom with a man, this is must-buy, ladies." Suddenly, my secret love wasn&apos;t so secret anymore. I had to make peace with the fact that I couldn&apos;t have you all to myself. This letter is me conceding that, yes, we have something great. But V.I.Poo, while I choose you, a whole lot of other people do too. "I was sceptical but I have to say it&apos;s bloody brilliant! I can confidently go into the toilet now without worrying about what the person did before me. It&apos;s a lifesaver." "It smells good and it works! I know because I can&apos;t smell stinkiness [sic] through the scent like you can with normal air-fresheners. The fruity scent is definitely a new favourite [in] my the house." "V.I.Poo has changed my life - I know that is a big statement. But seriously, V.I.Poo has eliminated so many arguments between my husband and I. Thank you so much! I have stocked up at my local Woolies." "Loved this product! So good to walk into a bathroom that never stinks!" "V.I.Poo has literally changed the lives of every being in my household that releases a bowel motion! My husband no longer has to close the door after himself." "Great product, Love the fact that I don&apos;t have to stress about going to the toilet at work or other people&apos;s homes feeling embarrassed about leaving a nasty smell behind. The bottle is compact enough to take with me and discreet enough to have in the toilet at home. The only issue I can bring up, is that unless you tell someone what it&apos;s for, people think it&apos;s an air freshener and spray it in the air..."
"V.I.POO is incredible! I really love it, I have bought 5 bottles already :)"
"This is the best product I have ever bought for my bathroom. I was sceptical at first because I hate the smell of air fresheners and they don&apos;t really work do they. But when I heard the ladies talking on the podcast and I read more about it, I gave it a try and now I&apos;m telling all my girlfriends. Seriously life-changing. Or toilet-changing! Very good investment in my marriage." In conclusion, V.I.Poo, we love you. Over and out. Have you found love with V.I.Poo? Share below.